I grew up in Japan, Guam, Hawaii and Texas. I was a military brat, woo hoo! Growing up overseas was really nice. I was around a lot of different races and culture; it was a fantastic way to be brought up. As far as being influenced, my tattoos were influenced by ME as a person, and I wouldn't have been that person had I not grown up where I had. So I suppose it did. My style is...ME! Every one of my tattoos represents something about me. I consider it the ULTIMATE art form. Paintings, sculptures, music...all of it is art. 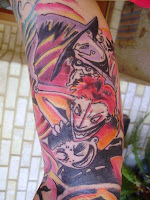 But to get something permanently tattooed into your skin...takes true devotion. I feel that tattoo culture right now is highly influenced by what people are seeing on TV. Nothing wrong with that, but I just wonder how people are going to view themselves in 20 years. When the fad may have faded out by then and they regret getting what they got, all because everyone else was getting a tattoo at the time. Always been uncomfortable in my own skin and disliked people looking at me. 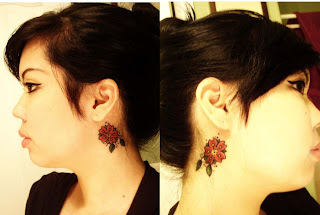 So getting tattoo's kind of controlled what people looked at. Because chances are, people are staring at my tattoos, not at my face or body or any other insecurity that I may have. 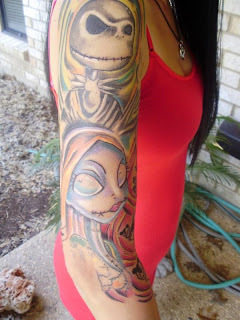 My favorite tattoo is my Sally tattoo from my nightmare before Christmas sleeve. I just love her so much!! ALL the time. I get some people that LOVE the work I've gotten, but I've gotten my fair share of people who seem to be disgusted with it. And from that, some people have even went so far as to give me speeches on how horrible I am. Just sad. They do, in the sense that...I can be in a bad mood and if I go out in public and someone just gets so giddy about seeing my tattoos...puts me in a good mood. I love people who appreciate art, and who appreciate tattoos. It's hard for me to answer this because ALL of my tattoos are significant to me. Every one of them represents me and who I am. It's like choosing a favorite child, haha.. I just can't do it. 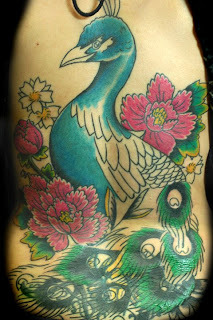 I want to get an owl done on my abdomen. Make sure you are okay with that piece of art being stuck on you for the rest of your life. 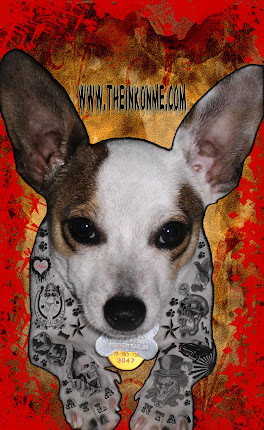 That not everyone views art the same and that beauty is DEFINITELY in the eye of the beholder. Oh most definitely!! I want to get my abdomen, chest and ribcage done for sure. As for after that, we'll see. "The tattoo is the mark of the soul. It can act as a window through which we can see inside, or it can be a shield to protect us from those who cannot see past the surface."